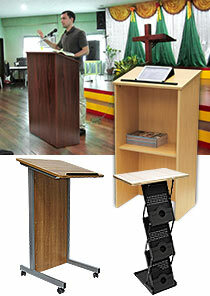 Church Podiums & Bulletin Boards for Community Centres! Silver, Black & Wooden Snap Frames A5, A4, A3, A2, A1, A0 & More! 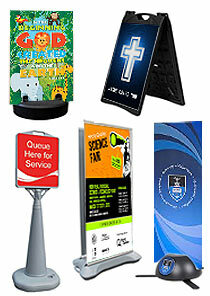 Churches & Community Centres Thrive with this Array of Products! There are many types of displays to choose from when needing to replace broken models or simply upgrade to better fit in with current needs when running a community centre or for your church, and our selection of products makes it easy to do! There are many rostrum & church lectern types currently available that help to focus audience attention towards the person speaking. Providing information to the community about upcoming events is extremely important to maintain a relationship with members as well as for outreach to add new people to help achieve something more. Using the different bulletin board offerings makes this easy to do, with many styles offered that are able to suit the needs of your location by using a corkboard, whiteboard or even a combination of the two, all offered in many sizes to fit your wall. Once in your location, both new and old visitors may need assistance getting around the building to find their way to their desired room or area. 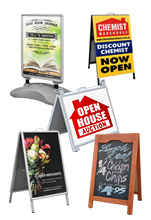 Our different wall mount office sign displays make this easy, able to hold various sizes of graphics that show your custom designs that can help to guide visitors down a hallway as well as denote the offices of pastors, priests, and directors of the community centre! 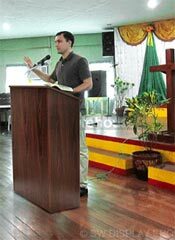 There are different lecterns & pulpits offered to fulfill the needs of different locations. These public speaking stands are ideal for placing on a rostrum or platform to help engage the audience, giving them a focal point that is easy to see to help them to better focus on what the orator is saying. 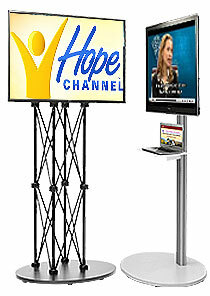 The church podium options include those with wheels that make moving the units in between different rooms very easy. 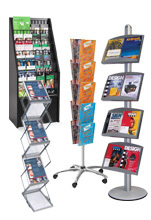 The study display has lockable castors as well, which function to stabilise the unit once in a desired position to prevent the stand from sliding away. The red cherry melamine finish works with any décor whilst giving the display stands a unique look, getting just as much attention as acrylic rostrums. There is a lip on top of each of the lecterns that help to hold the notes of the speaker in place, as well as bibles when used in a church, laptops for presentations, and more! There are also a wooden church lecterns that include a shelf on the inside for placing additional source materials as well as cups of water for the priest, reverend, or pastor to easily grab if needed while not being on display for everyone to see. Additionally, there are portable lecterns offered perfect for bringing to place on platforms at local speaking engagements. 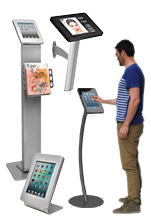 These folding displays are easily assembled in seconds with no tools required, making it fast and simple to set-up in any location. The front of the displays also feature pockets that are able to hold reading materials & various pamphlets or catalogues to distribute to the congregation, visitors, and passersby. A carrying case helps protect the pulpit during transport and when not in use in between engagements as well! Which products are offered to outfit my Church or Community Centre? 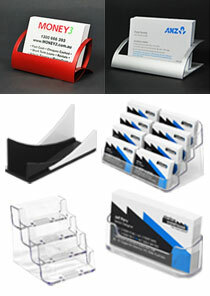 Another selection of products that provided includes various fabric pinboards, corkboards, & whiteboards. 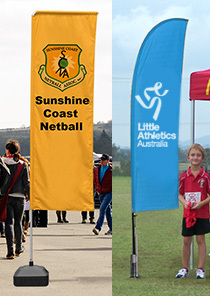 These displays are extremely useful in helping to show the community upcoming events that they can attend and interact with other members, as well as to inform of upcoming classes and fundraisers. 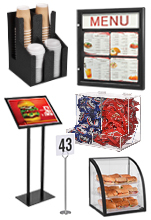 These community display systems have wall mounted and floor-standing options to best suit the needs of different location. Some of the displays include locking doors as well, helping to prevent tampering of displayed items in order to make it harder to vandalise. 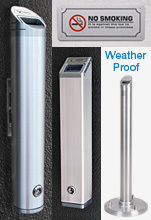 Different types of doors are offered depending on the needs of your location, with both sliding and swing door types available. The sliding doors feature a handle etched into the tempered glass to make opening the doors easy (once unlocked) without getting finger or hand prints all over the door. 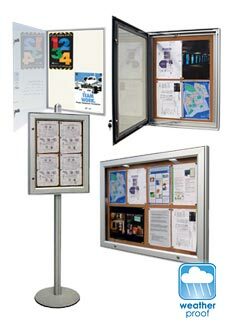 The swing doors includes versions that have posts to help prop the door open whilst on display to easily change out notices. 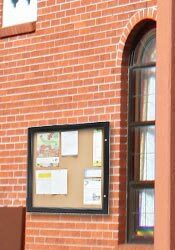 The swing door fabric pinboards may be mounted in portrait or landscape orientation as well, helping your church or community centre to display the cork displays with your best needs in mind. These displays also include different whiteboards that have erasable surfaces, allowing information to be changed with ease depending on the scripture or lesson being shown. 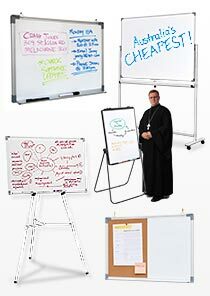 Dry erase markers work best with these displays, and make wiping off the board easy without having to dampen a cloth! Many sizes are offered to fit on walls of various areas with ease. 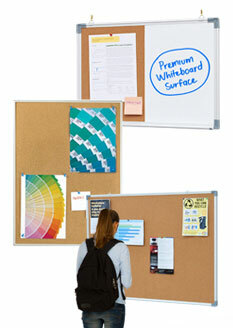 There are also combination boards that feature both a whiteboard side and corkboard side to best make use of space. The cork board is self-healing to last for years to come, and is accepting of staples, tacks, and push-pins to make posting notices very simple and easy. 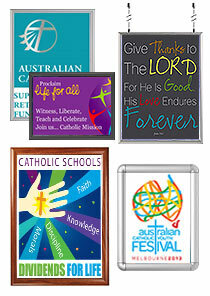 These cheap corkboard offerings help to make your church or community centre an easy place to promote events and advertise! 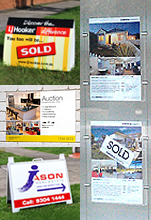 To help visitors once they are in your establishment, we offer many wall mount office sign options that have various sizes available to make it easy to show patrons whose office they are passing by as well as guide them to further destinations within your business. 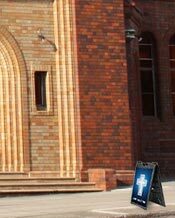 The reception sign displays are perfect for use as wayfinding signs, as each holder can display custom made graphics in portrait or landscape orientation, allowing you to put the exact information you wish on the poster to guide your congregation towards specific meeting rooms. 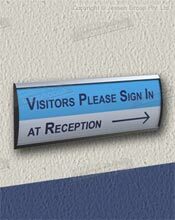 The signs are easily affixed to a wall using the included hardware which features wall anchors and screws. Some of the office signs for business and lobby use also have double-sided tape for a quick alternative to the screws and wall plugs. The front of the signs feature a clear lens that help to prevent grime and dust from gathering on your graphics to help keep them neat and tidy during display. 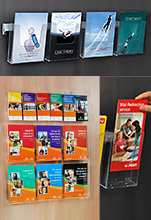 The lenses are of these wall mounted displays are anti-glare as well, helping to make reading of displayed posters easier in different lighting conditions. A suction cup tool included with the displays help to lift the lens gently off of the display to replace graphics, with the entire process taking less than one minute! 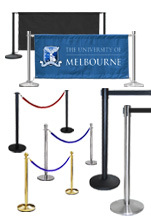 The aluminium frame of these signage holders also assist in providing a long-lasting display that will work in heavily trafficked areas without a problem. The clear anodised finish blends in well with any décor as well as helping to focus attention towards the displayed graphic. 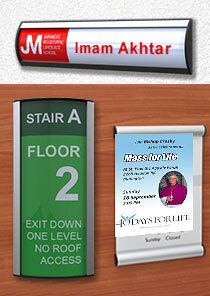 These displays are ideal for placing outside of the office of the Imam, rabbi, or pastor to identify which room is theirs. With a vast array of different products to choose from, the extensive online catalogue is one of your best bets for finding high-quality displays that are offered at low prices to help you promote & advertise around your business without breaking the bank to do so. 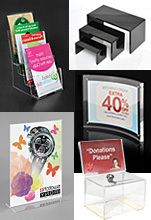 These different items make it easier to promote at your business to gain maximum attention for your goods or services, as well a large selection of items designed to help your merchandise your products and create an alluring marketplace to help entice visitors towards your products. 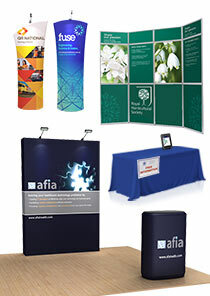 The various items offered include products ranging from poster stands, easels, queue barriers, pull up banner POS signs & light boxes to A-frame signs, exhibition displays noticeboards, photo frames, acrylic risers, business card holders, brochure dispensers, lecterns, cigarette bins, & event flags! With so mnay items available in one place for you to choose from, finding a great product for your location has never been easier or more inexpensive! Slimline Warehouse has been a national leader for over 20 years, providing Australian businesses with quality products offered at low prices to ensure a good return on investment with each purchase. Our wares are sourced from both local & international vendors to provide our customers with a diverse selection of products that are all offered at some of the lowest prices available online! Our quality assurance team examines each product thoroughly prior to our marketing team offering it for sale to ensure only the top products are able to make it into the hands of our customers. Same day despatch is provided with most in stock products that are purchased by 1pm EST to anywhere in Australia from our warehouses. Order today for your business in Alice Springs, Darwin, Perth, Cairns, Adelaide, Brisbane, Canberra, Gold Coast, Melbourne, Townsville, Hobart, Geelong, Sydney, & Bendigo!